I‘m hopeless at anagrams and even though there’s graphical clues in this motion graphic piece, I can’t decipher these book titles. If you’re able to without looking at the clues, I take my hat off to you. But the wooden penguin-esque 3D book covers are simply amazing. While you’re there, check out Low Fidelity Car Dream, awesome. 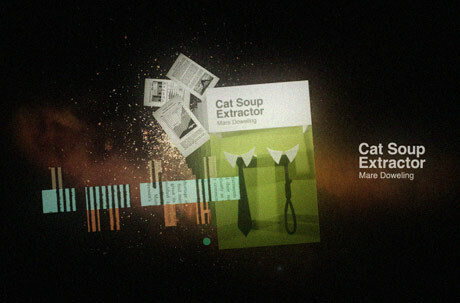 Mar 28	This entry was posted in Design, Handmade, Motion Graphics by cookie. Bookmark the permalink.